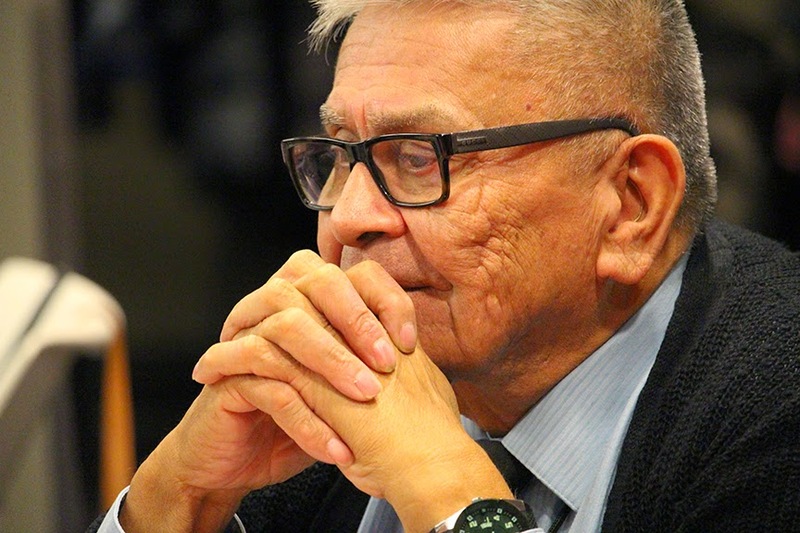 Last fall, I attended a conference in Calgary where I did some photography, getting a number of great images of Aboriginal elders, including Chief Joseph from British Columbia. I was trying to capture the spirit and energy of the event, but in the back of my mind I was also building up an inventory of subjects to paint. Weeks later, I ran into respected artist Frederick McDonald at the grocery store. 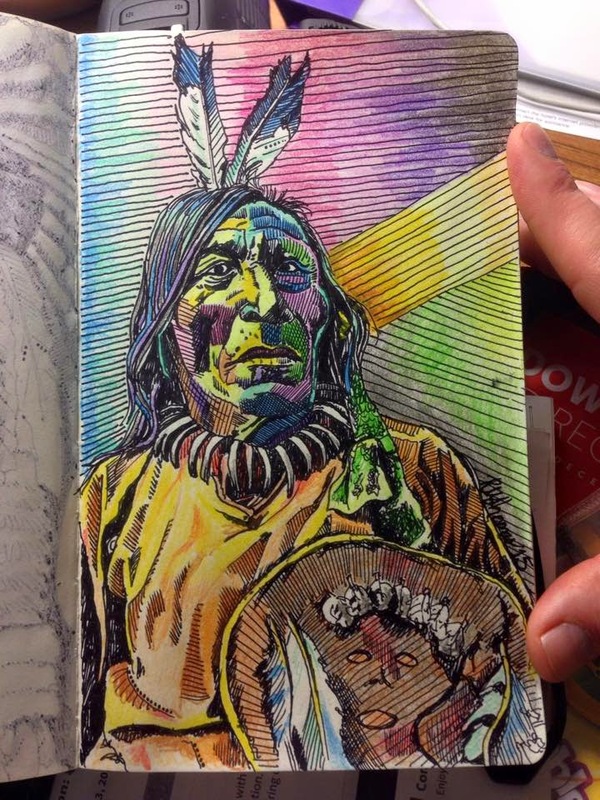 He suggested that I should consider painting Chief Joseph. "It's weird that you say that," I said. "Because I have a great portrait of him that I took in Calgary." He looked at me kind of funny, because the Chief Joseph that he was speaking of has been dead for 110 years. 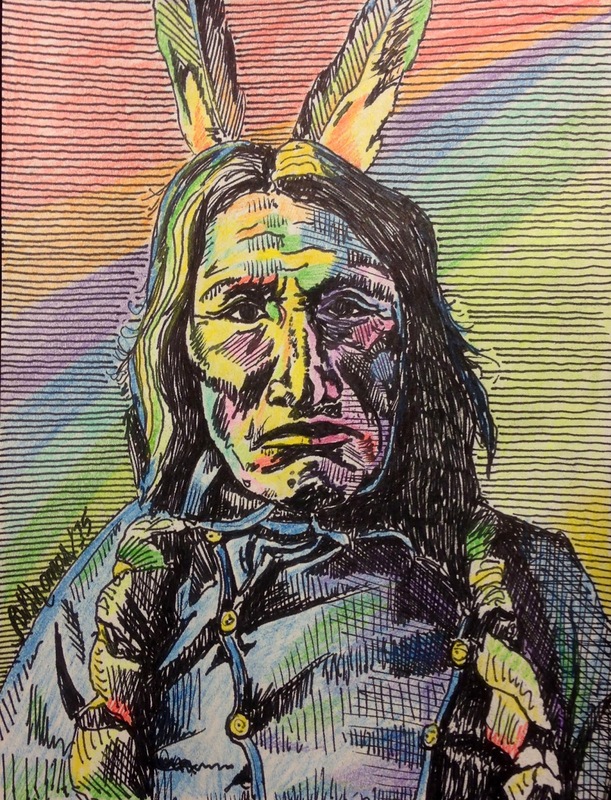 His suggestion to interpret Chief Joseph, Chief of the Nez Percé, a tribe indigenous to the Wallowa Valley in northeastern Oregon but forced to move to a significantly reduced reservation in the Idaho Territory, planted a seed in my brain which is slowly popping through the soil. 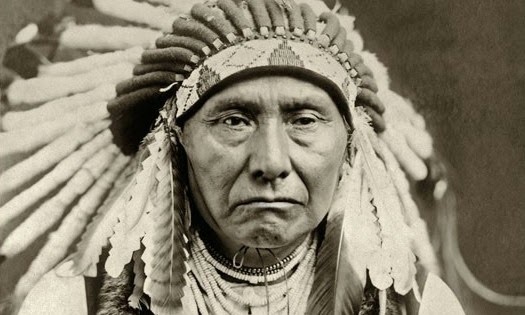 Chief Joseph is a striking character, and a leader who was admired by his people, military adversaries and the American public for his principled stand, and fight, resisting removal from their traditional lands. 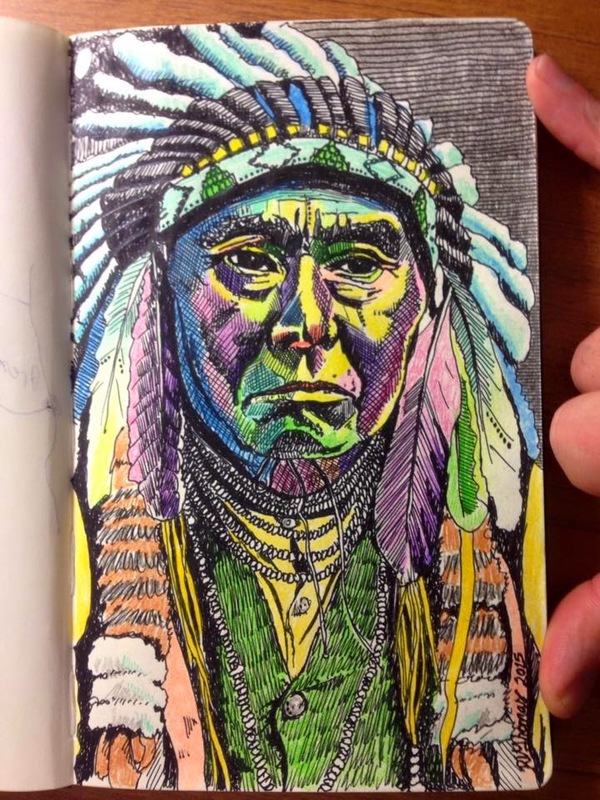 I had a photo of Chief Joseph pinned to my inspiration board in the studio for several months, before it became a casualty of some spilled paint. That inspiration was reignited when we were in the trading post in Sedona. 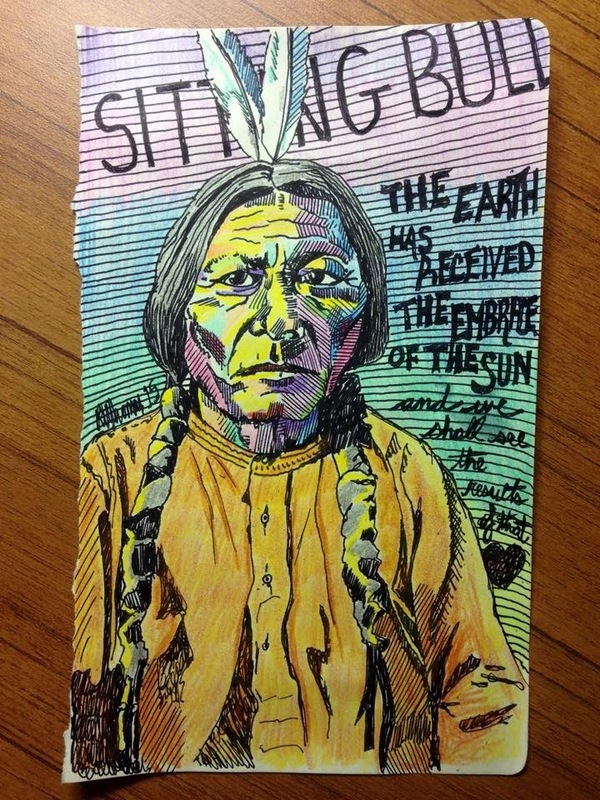 They had a series of postcards featuring Native American leaders that drew me in. I bought several, and spent the last half of our holiday doing some practice sketches of some of them. Each of the sketches, in their turn, were given away to children that I encountered on our a trip or when we got home. 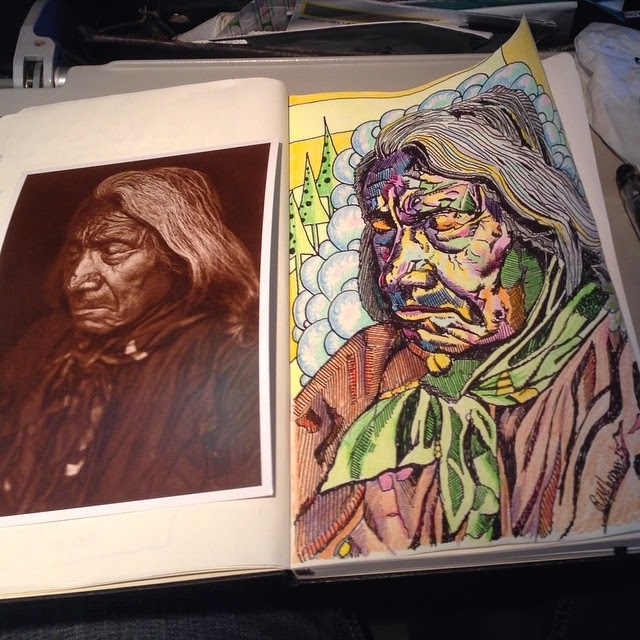 Jesse's daughter Nika, Lara's son Nigel, the two children of artist Alexis Marie Chute who were sitting next to me in the Phoenix airport, and Maryellen's daughters all have brightly coloured studies of these great leaders. I spent the first day and a half of being home, cleaning, sorting, paying bills, and various other chores to get our house in order. Yesterday, I finally felt comfortable getting out into the studio and painting. 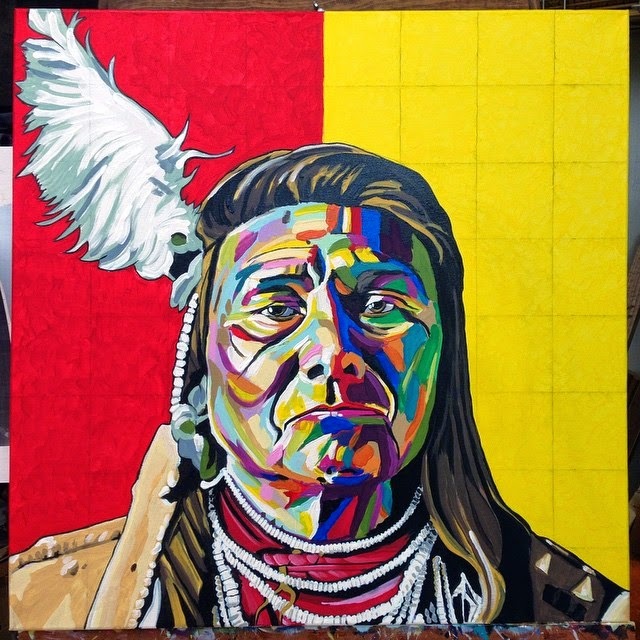 It was Chief Joseph's turn on the canvas. I saw the red background immediately. The yellow was a surprise, but I like how it turned out. This portrait will hang beside Chef Ken Bowie's medicine bag and eagle feather in his office at the new hotel he is helping to open in the Taiga Nova eco industrial park. Meanwhile, I see a long exploration with, and education about, the chiefs in my future. A trip to the Fort McMurray Public Library is in order, as I want to read about this inspirational man who became renowned as a humanitarian and peacemaker.